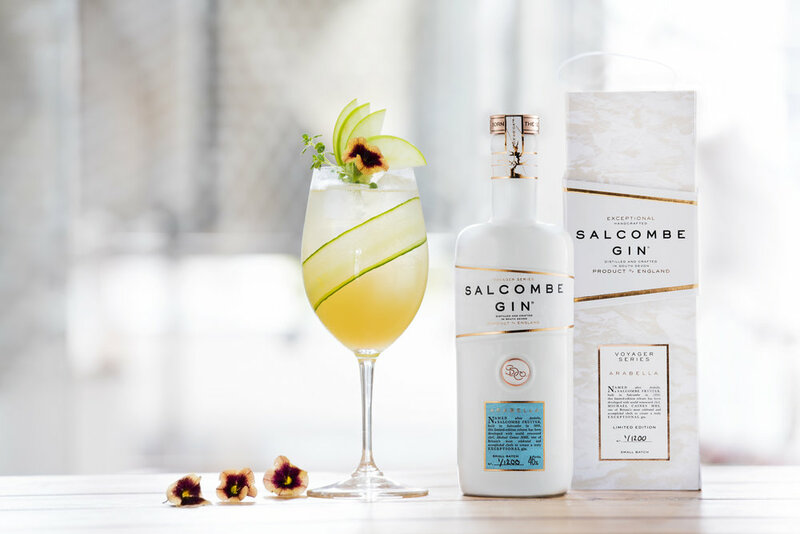 Voyager Arabella | Salcombe Distilling Co.
Named ‘Arabella’ after a famous Salcombe Fruit Schooner built in 1860, this limited-edition gin has been developed in collaboration with world renowned chef Michael Caines MBE, one of Britain’s most celebrated and accomplished chefs to create a truly exceptional gin. Limited to 1,200 bottles. 50cl, 46% ABV. ‘Arabella’ is created with 17 botanicals, all of which were selected by Michael Caines to create this exceptional gin inspired by an English Summer’s garden to reflect Michael’s culinary style. In addition to using the finest Macedonian juniper berries and fresh citrus peels of lemon, lime and orange, 13 further botanicals are used including English coriander seeds, cardamom, cubeb berries, lemon thyme, verbena, hibiscus, liquorice, bay leaf, bitter almonds and sour cherries. ‘Arabella’ is a beautifully complex yet delicate gin with a foundation of traditional juniper and earthy warmth of Angelica, combined with bright citrus aromas from sweet orange peel, lemon and English coriander seed. On the palate it is rich yet balanced with a floral edge from hibiscus and a savoury note from bitter almonds. Further freshness is added from lemon thyme and verbena with a lingering dry finish from a touch of green cardamom. Best served: Over ice with a premium tonic water and garnished with a sprig of lemon thyme and a slice of green apple. Alternatively why not try our ‘Appabella’ cocktail created with Michael Caines and his team at Lympstone Manor.